It seemed like everyone in the O'Bryant clan played music. Alan's uncles and cousins were all into old time country music and what they called "string music"; even his older brother played a little guitar. When Alan picked up the banjo at age 13, he took to it like a duck takes to water. He learned quickly from listening to records and watching his cousin Dale play. Before long, his Uncle Hassell recognized Alan's potential. "He'd come get me and take me with him to a dance somewhere," where they would perform with a casual group of local old-timers. "If Uncle Hassell made $12, he'd split his share with me," Alan remembers with a smile. As a teenager, Alan often played with his dad's cousin, Pat Smith, a talented performer who lived nearby with his two teenage sons, Terry and Billy Smith, both of whom were becoming musicians, too – today, Terry, formerly with the Osborne Brothers for five years, is currently playing bass with The Grasscals; Billy is a successful songwriter and performer. Alan spent a lot of time picking and performing with them, the three eventually forming a band. Billy and Terry's mother, songwriter and columnist Hazel Smith (honored in 1999 with the CMA Media Achievement Award), lived in Music City. Billy, Terry and Alan would spend a couple of summers visiting her and making a pilgramage to Bill Monroe's Bean Blossom Bluegrass Festival before all three moved to Nashville in 1974. Not anticipating the success he would have as a musician, Alan initially came to Nashville to study for a degree in electronic engineering at Nashville Tech. After his first year of school he needed a summer job and tried out for a spot with James Monroe's band. "Jerry Sullivan heard me play one night sitting in at the Bluegrass Inn with Hubert Davis and the Season Travelers," O'Bryant remembers. Jerry was working with Monroe at the time and they were looking for a solid banjo player. Jerry liked what he heard that night and got Alan an audition. Alan spent four years with James Monroe's band juggling school and gigs. It gave him an opportunity to get acquainted with Bill Monroe as James and Bill often played the same shows. O'Bryant was an unabashed fan of Bill's since he was a kid. And he finally got to be a Blue Grass Boy. Alan recalls, "One year, Bill called me to play with him on the Opry on their Christmas Eve show. Talk about your Merry Christmas." Their friendship would continue until Monroe's death in September 1996. Bill Monroe was a huge influence on O'Bryant, who visited Bean Blossom for the first time at 17. "I was just a country boy off the farm, but I was totally enthralled. It was amazing to watch and listen to him sing. Then I'd hear Kenny Baker. Makes you want to play music for the rest of your life. " Other entertainers who inspired and encouraged O'Bryant were Bob Block, Earl Scruggs, Ralph Stanley, Butch Robins, James Monroe, Jerry Sullivan and the Sullivan Family, and Wilma Lee and Stoney Cooper. Alan would watch them carefully from backstage. "You learn things to do, you learn things not to do." Besides playing banjo, Alan also played guitar and tried his hand at songwriting. He wrote Those Memories of You in 1979, first cut by Bill and James Monroe in 1980. The song would become a Top 5 Billboard pick when it was recorded by Dolly Parton, Emmylou Harris and Linda Ronstadt for their 1988 platinum album, Trio. Alan also wrote The Other Side of Life, a beautiful gospel tune cut by both Vern Gosdin, Emmylou Harris, and has co-written other industry favorites. In 1979, O'Bryant took a job with Claire Lynch's Front Porch String Band. He got married in 1982 and went to work at Cash Register Sales in Nashville during the day, playing clubs at night and festivals on weekends. "All during this time, I did demo sessions, working with great songwriters like Jim Rushing." In 1982, Alan's friend Butch Robins received corporate underwriting for a bluegrass band project, with which he formed The Bluegrass Band with O'Bryant. All band members were on salary and were hired for one year. When the band split up, Alan kept his eyes open for a new opportunity, which would come his way in 1984 when he would form the Nashville Bluegrass Band with Pat Enright, Mike Compton and Mark Hembree. For the next twenty years, it seemed all Alan did was drive or play. In the 90's, he was a very busy man. Alan appeared on the Time-Life album Civil War Music: Collectors Edition recorded in 1991, singing Aura Lee and I'm a Good Ol' Rebel. Pat Enright joined him on the project in a classic rendition of Booth Shot Lincoln. When he wasn't on tour with NBB, Alan was in a studio, singing, playing, or both. His talents were well- known outside bluegrass circles and attracted the attention of music producer Emory Gordy (Patty Loveless, Aaron Tippin) who put together a five song artist's demo on Alan and pitched it to a major label. Though the label's response was positive and the opportunity tempting, Alan made a decision he never regretted – he made a commitment to stick with the ensemble he had created with NBB. Sugar Hill Records recruited Alan in 1994 to appear on their Daddies Sing Goodnight CD, a compilation of love songs from fathers to their children. He wrote and recorded "Little One" for his two young songs. By 1997 Gibson offered O'Bryant one of their rare artist endorsements. As a part of those arrangements, "they built me the banjo of my dreams," said Alan. The Style-5 was customized in every way to Alan's specs. Master banjo builders were Nick Kimmons, Ed Weber, Eric Sullivan and Todd Wright. Walter Carter spearheaded the effort. Alan has been nominated multiple times for IBMA Banjo Player of the Year. He currently owns four banjos, but always plays his Gibson when he performs. He also owns a vintage Gibson paddlehead mandolin, upon which he plays old-time fiddle tunes. Alan caught the old-time bug several years ago after buying a mandolin for one of his sons, and says he loves learning and playing Old Time tunes. In addition to the awards he received with NBB, Alan appears on a number of award-winning projects including The Grass In Blue, recorded by Dolly Parton in 1999. O'Bryant started his own publishing company, OBanyon Music, in 1988. The venture has done well; among others, Patty Loveless recorded The Boys Are Back In Town, written by Don Humphries, Pat Enright and Stuart Duncan, and published by OBanyon Music. Alan has a home project studio, which he named OBanyon's Terrace Studio. NBB's Twenty Year Blues (honored with a Grammy nomination in 2005) was recorded there, as was This Could Be Magic, a tune that appears on David Lee Roth's Strummin' With The Devil CD. O'Bryant's studio is peaceful, relaxed and acoustic-friendly. He often works with veteran engineer Tim Roberts. At his home studio, Alan has recorded and produced projects for Gene Bush, Valerie Smith and Becky Buller, The LaWarre Family, Junior Barber, Roy Harper, Brittany Bailey, Cordless, Paul Hopkins, Adam Olmstead, and the Gibson Brothers. Chris Henry's fine mandolin record Monroe Approved was mixed and mastered at Terrace Studio, too. In 2003 dobro great Rob Ickes asked Alan to produce Blue Highway. The project, recorded at Dark Horse Studio, won a Dove Award that year. O'Bryant is a long time resident of Pegram, Tennessee. He has two grown sons, Calan and Ian, both of whom have become musicians as well. Check out their band, The Felt Shims, on MySpace. 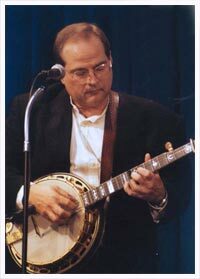 Alan currently gives private banjo lessons at the Musical Heritage Center of Middle Tennessee in Pegram. Well qualified as an instructor, he's been a welcome teacher at numerous banjo camps over the years, including the Banjo Institute Clinic, The Disney Institute, and NashCamp. You can email Alan directly if you are interested in banjo lessons at obanyon@aol.com.